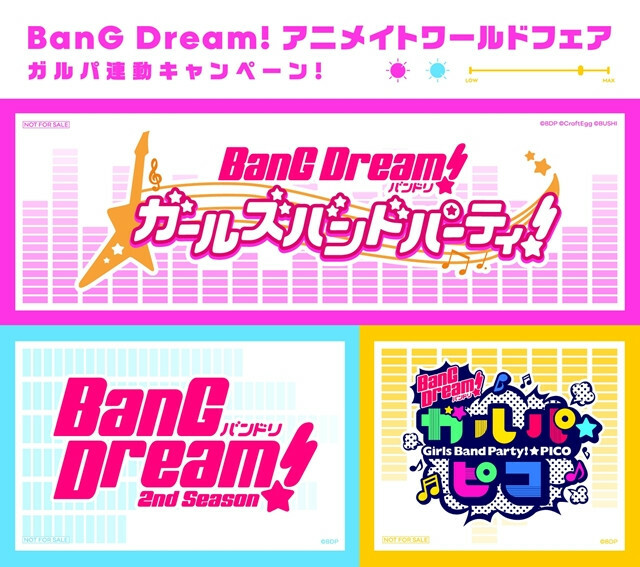 Bushiroad's media mix project BanG Dream! will launch "BanG Dream! 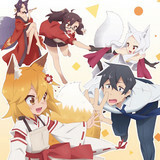 Animate World Fair" at Japan's largest retail store chain of anime, games, and manga merchandise, Animate's 125 stores worldwide from February 19, 2019. This the first time for the BanG Dream! franchise to hold this kind of international campaign simultaneously. 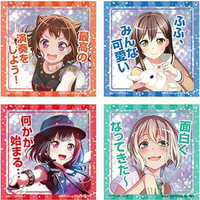 During the fair period between February 19 and March 17, customers who spend more than 1,000 yen for the BanG Dream! 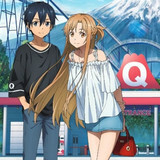 merchandise (CD, DVD, BD, books, character goods, etc.) 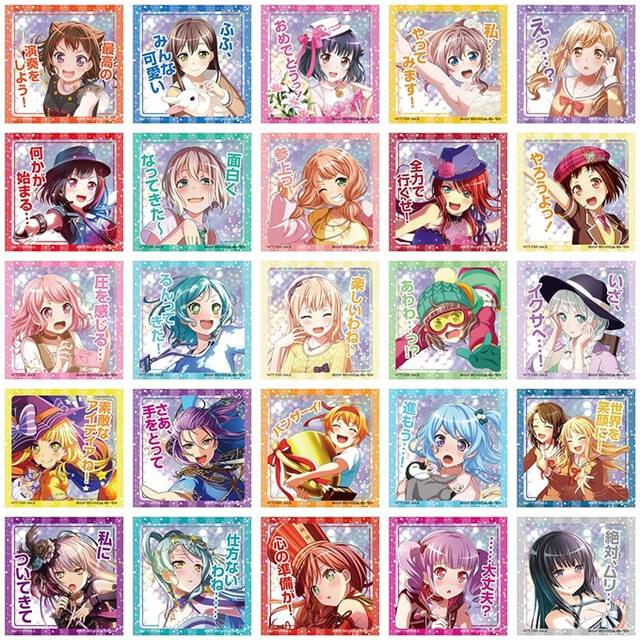 at the 117 Animate stores in Japan, its online shop, four in mainland China (Beijing, Shanghai, Nanjing and Chengdu), two in Taiwan (Taipei and Taichung), one in Hong Kong, and one in Bangkok, Thailand, will randomly get one of the 25 "Kirakira Stickers." See the 25 images below. of BanG Dream! 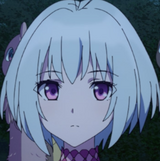 2nd Season, BanG Dream! Girls Band Party!, and BanG Dream! Girls Band Party! ☆ Pico. and its first episode "Happy Party!" is now streamed on the franchise's official YouTube channel.